Does Your Humidifier Need to be Repaired? No matter what time of year it is, a humidifier is always a good investment for your home or business. Studies show that increasing the moisture level of the air can help reduce dirt, dust, and other airborne particles to help you breathe easier and stay healthy. 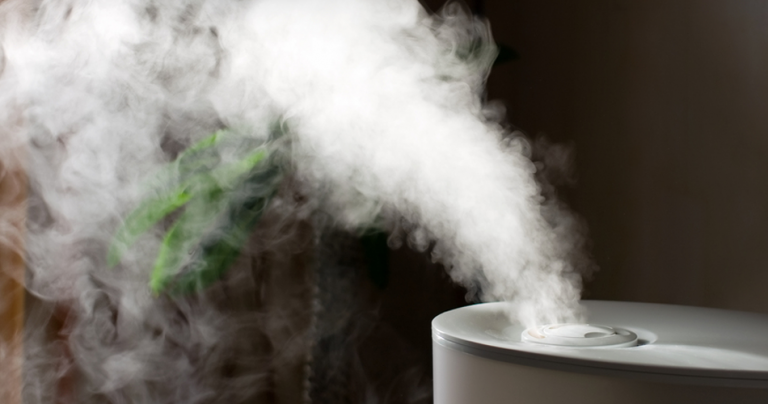 If you have a humidifier but have been experiencing problems with it, don’t worry – we offer commercial and residential humidifier repair that’s both fast and professional. The most popular type of humidifier is an evaporative humidifier. While these humidifiers come in a variety of shapes and sizes, they all essentially work in the same way: when you turn the unit on, it starts up an internal fan that pulls in air. The air then passes across a water-saturated wick filter to fill the air with moisture. After that, the fan pushes the air out of the unit and into the room in order to circulate. Because humidifiers are much simpler than air conditioners or furnaces, there are only a couple of things that could be wrong with them. One is that the unit simply doesn’t work. While many times, this problem can be solved by simply checking the electrical connection or restarting the unit, sometimes it can be caused by a full reservoir, a faulty humidistat, or a faulty power cord. Another common problem is that the humidifier doesn’t add moisture to the air or adds very little. We recommend checking to make sure that the size of your humidifier is right for the size of your room – if it’s too small, it won’t add the right amount of moisture you need. Sometimes, however, the problem is mechanical (for example: a lack of lubrication on the fan motor bearings). If your humidifier is having a problem, the cause may be rather simple, so check your owner’s manual for a possible solution. If it’s something more serious, make sure you give our commercial and residential humidifier repair experts a call and we’ll come take a look.